An invitation to join Thanya at her residence, where all the master work begins. Whether you are completely new to the kitchen, or you're already a bit of a pro. Whether you want to impress that special someone, or just be able to provide your household with some great home-cooked food - Thanya has the patience and understanding to give you the confidence to create a wonderful Thai meal. Lessons are tailored to your tastes and cooking experience, from novice to competent cook. Learn up to 4 dishes. Learn, prepare and take home all your hard work to enjoy!! IF YOU JUST WANT US TO CATER FOR THAT SPECIAL BIRTHDAY,CLUB EVENT OR YOU JUST DONT WANT TO BE STUCK IN THE KITCHEN AT PARTYS. DROP US A LINE.IF YOU WANT THANYA TO TEACH/CATER, GREAT FOR TEAM BUILDING, HENS NIGHTS OR YOU WANT TO COOK LIKE A THAI CHEF DROP US A LINE. ﻿Thanya also does group cooking classes which are held at schools throughout Hamilton. Please use the contact form to find out where the nearest cooking classes are held and when. 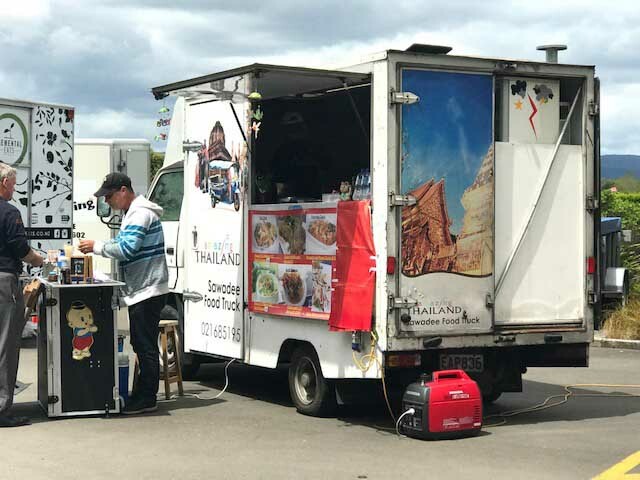 Do you have an event coming up like a sports day, Company event, Markets,Weddings or concerts and you need a food truck with amazing Thai food. If so then we can travel to you. We do not need power as we have our own but if you can supply even better. We are Hamilton based and can travel anywhere in the North island. Just email us or call us. We are Thai/Kiwi owned and operated. If you are a Kiwi married to a Thai then send us an email and we will insert your business FREE on our website. 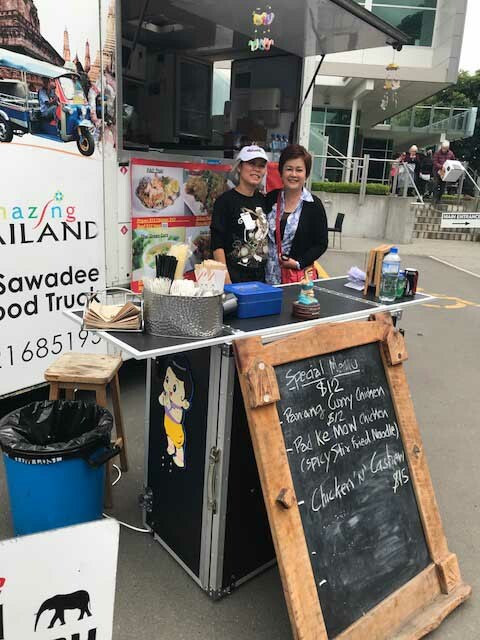 We are promoting Thai foods etc in NZ. However we can assist you as we have a Registered company in Thailand and Kiwi run. If you want to know more about setting up a company in Thailand just ask--- 16 years experience in factory and shipping & Kiwi owned Thai legal consultant. We understand all the issues of business structures from factories and manufacturing and can assist your company to make the move to Thailand. Thai owned food businesses on our website for free--join us "